… offers a powerful editing environment, with facilities for management of OWL ontologies, SKOS/SKOS-XL thesauri, OntoLex lexicons and any sort of RDF dataset. VB3 aims to set new standards for flexibility, openness and expressive power as a free and open source RDF modelling platform. Version 4.0.2 of VB3 was released? AGROVOC thesaurus moved to VB3? … a community for exchanging information, experiences and best practices around open source solutions for use in public administrations. OSOR brings news, studies, collections of solutions and best practices on the use of free and open source software in public services including Environment, Content and knowledge management. By participating in this survey (10 minutes of your time), you make your voice heard and help shape the future of OSOR so it will better cater to your needs. The results of the survey will be shared with the OSOR community. … an open source project to better manage Geospatial/Satellite Data. The ODC seeks to increase the value and impact of global Earth observation satellite data by providing an open and freely accessible exploitation architecture. At its core, the ODC is a set of Python libraries and PostgreSQL database that helps you work with geospatial raster data (check Open Data Cube GitHub). … a new (launched in 2018) open source tool - based on the Open Data Cube model - that harnesses the latest Earth observation and satellite technology to help Kenya, Senegal, Sierra Leone, Ghana, and Tanzania address food security as well as issues relating to agriculture, deforestation, and water access. So far, ARDC has stacked 8,000 scenes across a time series and makes the data – which is compressed, geocoded, and analysis-ready – accessible via an online user interface. … the Open Source Geospatial (OSGeo) Foundation’s Committee for Educational outreach that works in close collaboration with ICA, ISPRS, UN-GIS, AGILE, UCGIS , IGU and other partners worldwide in its mission for making geospatial education and opportunities accessible to all. With the availability of free and open source GIS technologies it now offers a great opportunity for governments and municipal authorities in developing countries also to implement GIS tools for their decision making and implementation needs. ... a specialized in the processing and dissemination of raster and vector geospatial data with Open Source software according to the standards created by Open GeoSpatial Consortium (OGC) and the ISO Technical Committee 211 which provide the base building blocks for the INSPIRE regulations. The GeoSolutions team is composed by renowned international professionals with leading roles in some of the main Open Source products for the geospatial field ike GeoServer, GeoNetwork, MapStore and GeoNode for which GeoSolutionsprovides Enterprise Support Services. Announcing the Frictionless Data Tool Fund: APPLY for a mini-grant to build an Open Source tool for reproducible research using Frictionless Data tooling, specs, and code base. APPLICATIONS can be submitted by filling out this form by 15 April 2019 latest. Welcome to the GODAN Action Geospatial Service. Use the service to upload, process and enrich your dataset with geospatial information. Download the enriched dataset in a format that is compatible with GIS and mapping tools. 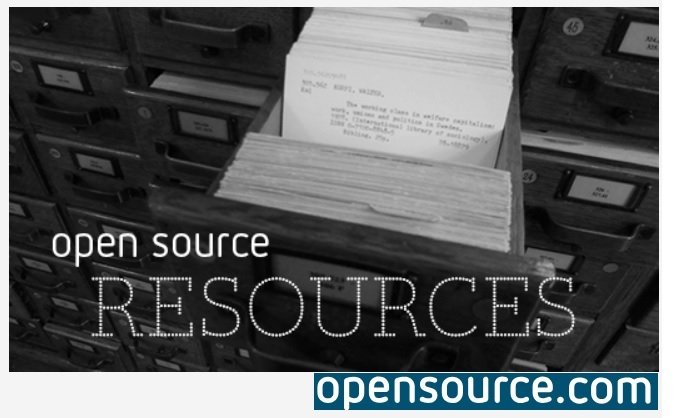 Check Module 5: Open Research Software and Open Source / Free Open Science MOOC. Enroll & catch up with developments in Open Science across the world! FAO Open Source software for recording tenure rights. Open Source software includes SOLA (Solutions for Open Land Administration) and Open Tenure.